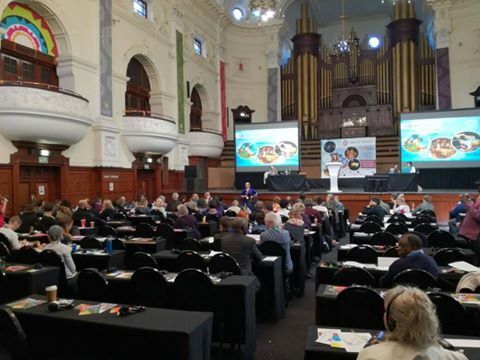 ASSITEJ World Congress, Cape Town, Sout Africa, May 2017. Approved by the General Assembly of ASSITEJ in Cape Town, South Africa, May 2017. Since the theatrical art is a universal expression of mankind and possesses the influence and power to link large groups of the world’s people and considering the role that theatre can play in arts education of young generations, an autonomous international organization has been formed which bears the name of the International Association of Theatre for Children and Young People. 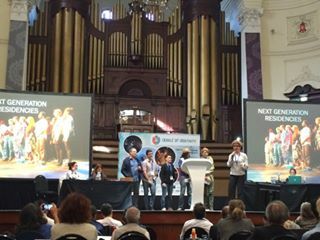 The Association shall be known by the acronym ASSITEJ (Association International du Theatre pour l’ Enfance et la Jeunesse). 1.2.1 ASSITEJ recognizes the right of all children and young people to enrichment through the arts and their own cultural traditions, especially theatre culture. Theatre respects its young audiences by presenting their hopes, dreams, and fears; it develops and deepens experience, intelligence, emotion, and imagination; it inspires ethical choices; it increases awareness of social relationships; it encourages self-esteem, tolerance, confidence, and the free expression of opinions. Above all, it helps future generations find their place and voice in society. To this end, ASSITEJ endorses Article 31 of the 1989 United Nations’ Convention of the Rights of the Child that affirms the right of children to leisure time and the enjoyment of arts and cultural activities. It shares common values with UNESCO’s Cultural Policy, calling for the rights of children and young people to cultural participation and activity. It holds with the belief of the 2005 UNESCO Convention about Cultural Diversity, that children and young people must be allowed a cultural identity and to be visible everywhere in society. ASSITEJ is an advocate for the promotion of theatre for young audiences in principle and practice. It calls on all national and international organizations that recognize the potential of children and young people and their capacity to contribute to the development of society to recognize and support this constitution. 1.2.2 ASSITEJ proposes to unite theatres, organizations and individuals throughout the world dedicated to theatre for children and young people. 1.2.3 ASSITEJ is dedicated to artistic, cultural, political and educational efforts and no decision, action or statement of the Association shall be based on nationality, political conviction, cultural identity, ethnicity, or religion. 1.2.4 ASSITEJ promotes international exchange of knowledge and practice in theatre in order to increase creative co-operation and to deepen mutual understanding between all persons involved in the performing arts for young audiences. 1.2.5 ASSITEJ has non-profit and non-commercial aims. 2.1 The Seat of ASSITEJ is in Bologna, Italy. 2.2 The current law of the state in which the Association is resident or situated will apply in all instances not expressly provided for by the present statute, and the private law of that state will bind the Association. 2.3 The General Assembly is entitled to modify the seat of the Association, amending the Constitution as necessary in order for it to comply with the laws of the Country in which ASSITEJ has its seat. 2.4 The account and corporate books of the Association shall have to be filed with the seat of the Association. 3.1.1 To work for the rights of children and young people to artistic experiences especially designed and created for them. 3.1.2 To work for the recognition and acknowledgement of theatre for children and young people. 3.1.3 To work for improvement of the conditions of theatre for children and young people all over the world. 3.1.4 To improve the common knowledge of theatre for children and young people worldwide, thus drawing the attention of international and national authorities to the importance of taking children and young people and the artistic work created for them seriously. 3.1.5 To give people working with theatre for children and young people the opportunity to learn about the work of colleagues from other countries and cultures, thus enabling them to enrich theatre for children and young people in their own country. 3.1.6 To help to form in all countries, ASSITEJ centres and networks which function in accordance with the mission, constitution and policies of the Association. These centres and networks shall unite all theatres, organizations, and persons interested in theatre for children and young people. 3.1.7 To help to establish international artistic networks to explore different aspects of artistic work for children and young people, to increase the artistic competence of artists and to benefit them. 3.2.1. Organization, promotion and support of national, regional, and international programmes, congresses, conferences, festivals, study tours, exhibitions, and other activities. 3.2.2. Promotion and support of exchange of experiences between artists from all countries. 3.2.3. Encouragement of circulation and exchange of plays, texts, and other literature pertaining to theatre for children and young people. 3.2.4. Collection of material and documentation on theatre for children and young people. 3.2.5. Promotion of theatre for children and young people through all media. 3.2.6. Co-operation with other international organizations with related interests. 3.2.7. 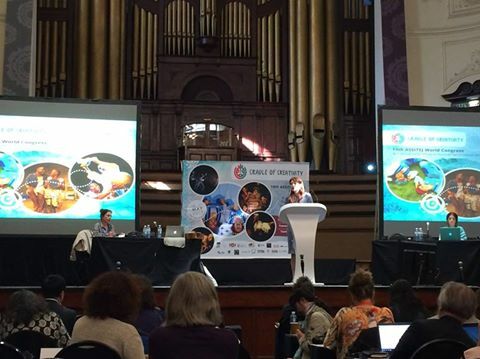 Introduction and support of proposals made by centres and networks in order to advance the work of theatre for children and young people to appropriate national and international authorities and agencies. ASSITEJ is created to facilitate the development of theatre for children and young people at the highest artistic level. No theatre, organization or individual can be refused admittance to membership of ASSITEJ on the basis of age, gender, ethnicity, disability or ability, sexual orientation, cultural identity, national origin, or political or religious conviction. 4.1.3. individual members (theatre companies, organisations, or persons) dedicated to theatre for children and young people, who are not able to participate in other forms of ASSITEJ membership. Those national centres and networks that are unable to meet the full criteria for membership, but can meet less stringent criteria as defined in Article 4.3. Individual members (theatre companies, organizations or persons) dedicated to theatre for children and young people, who are not able to participate in other forms of ASSITEJ membership. 4.3.1.1. National centres are networks of the theatre companies, organisations and persons working in that country in the field of theatre for children and young people. 4.3.1.2.1 Professional theatre companies or artists performing for children and young people. 4.3.1.2.2 Non-professional theatre companies or artists performing for children and young people. 4.3.1.2.3 Organizations, institutions, associations or persons actively engaged in the work of theatre for children and young people. 4.3.1.2.4 Supporting organizations, institutions, associations, or persons interested in theatre for children and young people. 4.3.1.3.1 To qualify for full membership in the Association, a national centre must be a network comprising of at least three (3) professional members (2.1), or five (5) members with at least two (2) professional members (2.1) and three (3) non-professional members (2.2). 4.3.1.3.2 To qualify for corresponding membership, a national centre must be a network of theatre companies, organisations and persons, which does not achieve the above criteria. 4.3.2.1. Professional networks are formal, international networks of theatre companies, organisations, and/or persons working in and supporting the field of theatre for children and young people. 4.3.2 3.1 To qualify for full membership in the Association, a professional network should be a global network which includes members from at least seven (7) countries from two (2) or more continents. 4.3.2 3.2 Those professional networks which do not meet the above criteria, but include members from a minimum of five (5) countries, may apply for corresponding membership. 4.3.3.1. Individual members are theatre companies, organizations or persons dedicated to theatre for young audiences, who are not able to participate in other forms of ASSITEJ membership. 4.3.3.2. Individual members are non-voting members. No category of membership may participate provisionally in ASSITEJ. have the right to make proposals at constitutional meetings, to be elected to the Executive Committee, and to vote according to the rules detailed in Article 9.
have the right to make proposals at constitutional meetings and to vote according to the rules detailed in Article 9. Corresponding members do not have the right to be elected to the Executive Committee. have the right to participate in the work of the Association, including giving proposals at constitutional meetings, but do not have the right to vote according to the rules detailed in Article 9. Additionally, non-voting members do not have the right to be elected to the Executive Committee. * and to communicate to their members the information sent from the Secretary General’s office. must use the acronym “ASSITEJ” either in the name of the centre or network, or in the description in the subtitle. 6.1. Written applications for membership shall be addressed to the Secretary General. These applications will be considered, approved, or denied by the Executive Committee. In the case of a denial by the Executive Committee, the applicant may appeal to the next General Assembly. 6.2. Any member that wishes to resign from the Association should inform the Secretary General in writing. The resignation will take effect from 1st January in the following year. 6.3. The Executive Committee may decide, by a majority of two-thirds, on the rejection, suspension, or expulsion of any member whose work conflicts with the fundamental aims of this Association, or who has failed several times in one of the obligations mentioned in Article 5.4. Any centre which has been rejected, suspended, or expelled loses the right to use the name of “ASSITEJ”. 6.4. Any rejected, suspended, or expelled member may appeal to the next General Assembly. 6.5 The membership fees cannot be transferred, in any case. 7.1. This Association is financed from membership fees, as well as from subsidies or grants accepted by the Executive Committee, given its non-profit status. 7.2 This Association can also be financed with incomes derived by commercial activities of limited extent, addressed to members or third parties. 7.3. The financial year shall run from 1st January to 31st December every year. Within 4 months after the end of the financial year, the Treasurer shall prepare the “financial statements” to be submitted for approval to the Executive Committee. The financial statements need to be approved by the Executive Committee before the month of December of the year after the end of the accounting period. Every time it meets, the General Assembly shall ratify the accounts for the period between one General Assembly and the next, against the mission budget set at the previous General Assembly. 7.4 Membership fees, which are determined by the General Assembly, are due on 1st January of each year and must be sent to the Treasurer. Members who have not paid fees for the year in which the General Assembly is meeting, lose the right to vote in the General Assembly. 7.5 The extra management funds and any additional funds shall comprise the Common Fund of the Association. 7.6 The Common Fund shall not be distributed among the Members, while the Association is still in place. Upon termination of the Association, the Common Fund shall be distributed as stated in Art. 13. While the Association is still valid, it is forbidden to distribute, even indirectly, profits, extra management funds, unless the destination and the distribution are established by law. The General Assembly consists of delegations of all full and corresponding members. 9.2.1 A delegation from a centre or network with full membership has three (3) votes. 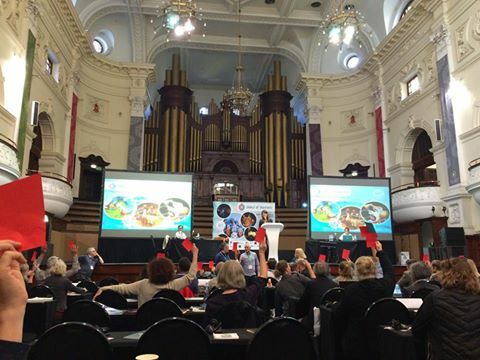 A delegation from a centre or network with corresponding membership has one (1) vote. 9.2.2 Voting by proxy is permitted. A centre or network wishing to transfer its proxy must do so in writing. A delegation from a national centre or a network can hold proxy for only one other member (whether national centre or network). A full member (whether national centre or network) can hold proxy for any full or corresponding member (whether national centre or network). 9.2.3 Non-voting members are invited to participate in the work of the General Assembly. These members are encouraged to find ways to formally associate with others to become part of the voting membership of ASSITEJ. 9.3.1 The Association shall meet in General Assembly at the World Congress at least once in every three calendar years, with the formal announcement of this meeting made at least six months in advance by the Secretary General upon instruction of the President. The General Assembly will decide on the location of the next General Assembly and World Congress, but if it should be unable to make a decision on this matter, or if a change of location should prove necessary, this decision will be left to the Executive Committee. 9.3.2 The Association may meet between two World Congresses. Members may propose an already existing event of international or regional significance for selection as an ASSITEJ Artistic Gathering. These event/s will be selected by the General Assembly. 9.3.3 A Special Meeting of the General Assembly may be called by the Secretary General three months in advance on the written and justified request of two-thirds of the members or at the discretion of the Executive Committee in the case of an emergency or extraordinary circumstance. This special meeting may take the form of online voting or video conferencing or similar technology. The seat of the Assembly shall be the one where the President is. 9.4.1 The General Assembly has final control over the Constitution, and decides on any changes or amendments, thus including the ones about the seat of the Association (Art. 2.3) and connected provisions. Any member wishing to amend the Constitution must give notice in writing to the Secretary General at least three (3) months before the date of the meeting of the General Assembly. Any decision to amend the Constitution shall require a two-thirds majority. 9.4.2. The General Assembly establishes the broad outlines of the Association’s policy. 9.4.3 The General Assembly shall ratify the “mission budget”, in which the financial statements and the financial reports of the solar years between one General Assembly and the next are merged. They are presented and approved annually by the Executive Committee. 9.4.4 The General Assembly determines the membership fees and other charges to be levied on the members of the Association. 9.5.1 The President of this Association is by right President of the General Assembly. In the event of his or her absence, he or she will be replaced by a Vice-President, selected by vote of the Executive Committee, or, in the absence of all the Vice-Presidents, by a member of the Executive Committee elected for this purpose by the General Assembly. 9.5.2 All decisions, unless otherwise stated, are taken by simple majority vote. In the case of a tie, the President will cast the deciding vote. If two centres apply to host the next Congress, the host shall be the centre that receives the most votes. If more than two centres apply for hosting, and neither receives a majority, a second vote shall be taken between the two leading candidates, and the host shall be the centre that receives the most votes. 9.5.3 A meeting of the General Assembly can only be held if the delegates of at least one-third (1/3) of the full and corresponding members state in writing to the Secretary General their determination to be present and to participate, either in person or by proxy. This notification of attendance must be sent to the Secretary General three (3) months in advance of the meeting. 9.5.4 Quorum: The General Assembly can only make decisions if one-third (1/3) of the members participate either in person or by proxy. 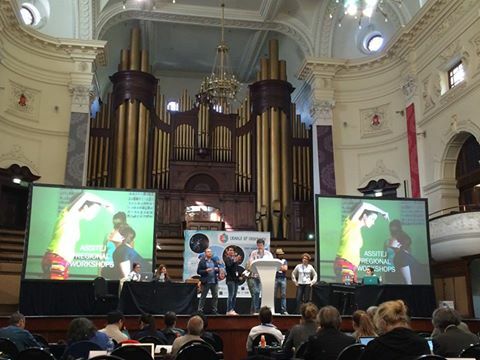 9.6.1 All bids for hosting ASSITEJ Artistic Gathering and World Congresses should be presented to the Secretary General three (3) months prior to the next General Assembly, for assessment by the Executive Committee. 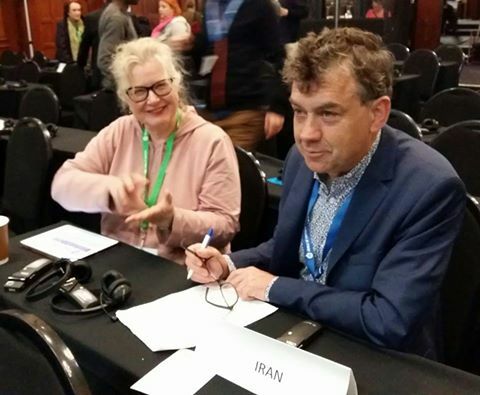 The Secretary General will receive bids for up to and including the next four (4) year period to ensure that there will be sufficient time for preparation of the ASSITEJ Artistic Gathering in the year following the next World Congress. 9.6.2 If no applications for the 4th year are received and voted upon by the General Assembly at the World Congress, the Executive Committee reserves the right to call for early applications one year prior to the World Congress which will be selected by the General Assembly through a special meeting using online voting or video conferencing. Should a Quorum for this meeting not be achieved, then the General Assembly gives the right to the Executive Committee to decide on the host for this ASSITEJ Artistic Gathering. The General Assembly, on the recommendation of the Executive Committee, can give the titles of Honorary President and Honorary Member for exceptional service to the Association. Both categories shall have a consultative voice, but no right to vote, and they cannot represent their country. 9.8.1 Elections for the Executive Committee of the Association are held at a meeting of the General Assembly at least once in every three (3) calendar years. 9.8.2 The General Assembly shall elect the President and Secretary General from those standing for the Executive Committee, in this order: the President is elected first and presides over the election of the Secretary General and representatives to the Executive Committee. Candidacies for the offices of the President and Secretary General should be sent in writing to the Secretary General, three months before the date of the General Assembly in order to circulate nominations to the members of ASSITEJ. 9.8.3 If no centre or network has presented candidates for these offices, the Executive Committee at its last meeting before the General Assembly shall recommend a candidate for each of the offices and inform all members of this recommendation. 9.8.4 The General Assembly shall elect the members of the Executive Committee as representatives of the centres or networks with full membership. Each centre or network with full membership may have only one representative on the Executive Committee. Each full member, on its own behalf, should send to the Secretary General, in writing, the name of its candidate three months before the date of the meeting of the General Assembly in order to circulate nominations to the members of ASSITEJ. 9.8.5 Each elected Executive Committee member must come from a different country, with the exception of two members only, provided that one has been proposed by a national centre and one by a network. 9.8.6 In this case two candidates from the same country may be admitted, provided that both make the minimum number of votes (50% of the voting members). 9.8.7 The number of network positions in the Executive Committee cannot exceed the number calculated as a proportional number of network members voting as opposed to national centre members voting. 9.8.8 From amongst the members of the Executive Committee, the General Assembly shall elect the Vice-Presidents and Treasurer, who shall be nominated in a meeting of the new Executive Committee. They shall be elected in their personal capacity. 9.8.9 The officers and members of the Executive Committee shall be chosen to represent as fairly as possible the interests of the organization and the diversity of all the centres and networks, taking into account such factors as geography, ethnic origin, gender, aesthetics and cultural identity. They should also reflect strengths that serve the concerns and priorities of the working plan for the elected term. 9.9.1 The agenda, with its enclosures, and candidates for the President, the Secretary General, the Executive Committee, and all bids (as in article 9.6) for the next four(4) year period, should be sent from the General Secretariat to all centres no later than two (2) months in advance of the General Assembly. 9.9.2 Only those items which are set down on the agenda may be voted upon in the General Assembly. 10.1.1 The Executive Committee is composed of a maximum of fifteen (15) members having the right to vote, including the President, three (3) Vice-Presidents, the Secretary General and the Treasurer. 10.1.2 In the event of the death or resignation of a member of the Executive Committee, the Executive Committee shall authorize the centre or network which nominated the member to appoint a deputy for the remaining period of the term of office. The exceptions are: in the case of the President, where the replacement shall be from amongst the Vice-Presidents; and in the case of one of the Vice Presidents, where the Executive Committee is authorized either to leave the office vacant or, if it judges it necessary, to elect a replacement from amongst its own members. In the case of the death or resignation of the Secretary General, the Executive Committee will appoint a suitable person to the office in an acting capacity, until the next General Assembly. 10.1.3 The Executive Committee has the right to co-opt persons as members of the Executive Committee. These persons will have full voting rights. 10.1.4 The Executive Committee also has the right to appoint Counsellors for the period of its mandate, who may attend, without voting rights, meetings of the Executive Committee during their time in office. Counsellors may come from a country already represented in the Executive Committee. 10.1.5 Any member who cannot attend a meeting of the Executive Committee can be replaced only by a permanent deputy nominated by his or her centre or network for the duration of his or her term of office. The Secretary General must be notified of the deputy’s name as soon as possible after the General Assembly. This permanent deputy is able to exercise a proxy vote on behalf of the existing Executive Committee member for the duration of the meeting, in order to let him or her participate fully. 10.2.1 A meeting of the Executive Committee may be held only if at least half (1/2) of the members express to the Secretary General their determination to be present and participate, either in person or represented by a deputy. The presence of half (1/2) of the members shall constitute a quorum. 10.2.2 The Executive Committee will meet at least once each calendar year; the Committee will decide by majority vote if it is necessary to hold additional meetings, and will choose the places and dates of such meetings. The committee must be notified three (3) months in advance. Meetings will be called by the Secretary General at the request of the President. 10.2.3 Due to the international nature of the Association, the members of the Executive Committee are allowed to participate in the meetings by the means of video-conferencing or similar technology. The seat of the meeting shall be the one where the President is. 10.3.1 The Executive Committee may decide upon urgent matters by correspondence if it proves impossible to hold a special meeting. In this case the Secretary General, by agreement with the President, shall send to each member of the Executive Committee a questionnaire, to which each member will reply in writing. Decisions will be made by a two-thirds (2/3) majority vote. The decisions will come before the Executive Committee at their next meeting for ratification. The replies will be placed in the records of the Association where they will be available for examination by members of the General Assembly. 10.3.2 Each member of the Executive Committee possesses one vote, which he or she may use in person, unless delegated to his or her permanent deputy. 10.3.3 The President of the Association is also Chairperson of the meetings of the Executive Committee. In the event of the President’s absence, he or she will be replaced by a Vice-President, selected by vote of the Executive Committee, or if all the Vice-Presidents are absent, by a member elected for this purpose by the Executive Committee to chair the meeting. 10.3.4 All motions are carried by a simple majority vote, except decisions taken by correspondence or regarding Article 6.3. 10.3.5 The Chairperson of the meeting has the right to vote as a member of the committee. If a majority decision cannot be established by this means, the Chairperson may cast a second, deciding vote. 10.3.6 The Executive Committee will submit a working plan of activities to the General Assembly. It manages the affairs of the Association between the meetings of the General Assembly and carries out the decisions of the General Assembly. The Executive Committee will remain in office for the period between one General Assembly and the next, which will be three years or thereabouts, at which time its members shall be eligible for re-election. 10.3.7 The Executive Committee will accept or reject new applications for membership made to the Secretary General. A rejection may be appealed by the applicant at the next General Assembly. 10.3.8 The Executive Committee will give guidance to parties submitting bids for ASSITEJ Artistic Gatherings/the World Congress, in order to give them the opportunity to strengthen their bids prior to the next General Assembly. The Executive Committee has the right to not take into consideration any proposals, which do not meet the requirements described in the bid document. 10.3.9 The budget is administered by the Executive Committee according to a working plan established by the General Assembly. 10.3.10 In accordance with the Executive Committee’s decision, the Treasurer has responsibility over the budget and the administration of the Association. 10.3.11 In order to comply with the laws of the Country where the Association has its seat, the management of accounting and corporate books shall be carried out by the Treasurer only in the case where they are residing in the Town where ASSITEJ has its seat; otherwise, the Executive Committee shall nominate an Accountant (person or company) residing in the Town where ASSITEJ has its seat and determine duties, powers and any reimbursement. The Treasurer shall be responsible for reviewing the conduct of the Accountant in order to check that all deeds fully comply with the interests of the Association (see also Art. 11.5.9). 10.3.12 The Executive Committee is required to audit the accountings of the Association. This can take place through an internal audit from a recognized member of the Association. The Executive Committee is also entitled to request an external Audit of the accountings of the Association should this be required. 10.3.13. The Executive Committee may take initiative in matters not anticipated by the General Assembly, provided that these matters are in keeping with the mission and aims of this Association, and provided that the Executive Committee takes the first opportunity to report on these matters to the members. 11.1. The Officers are charged with specific functions in carrying out the Association’s program and submitting reports to the Executive Committee. 11.2.9. Sign or countersign cheques, correspondence, applications, reports, contracts and other documents on behalf of the Association, being entitled to delegate some of these functions, totally or partially, to the Treasurer or Accountant, with explicit mandate of the Executive Committee. 11.2.10 During voting procedures, take the deciding vote in the event of a tie, when decisions cannot be taken by simple majority. 11.3.6 Advocate for the realization of the Mission and Aims of the Association in their own regional contexts, and internationally, where appropriate. 11.4.15 Submit to the General Assembly on behalf of the Executive Committee, the working plan which is suggested for the next three year term of office. 11.5.9 Should some of the functions be delegated, in whole or in part, to the Accountant with explicit mandate of the Executive Committee, the Treasurer shall have the obligation and the responsibility to review the work of the Accountant in order to ensure that each act is fully compliant with the interests of the Association, also having the right to request an external audit. 11.6 In case of any urgent matters not foreseen by the Executive Committee, the Officers are given the right to act at their discretion and will take the first opportunity to report on these matters to the Executive Committee. 12.1. Working languages at the General Assembly will be the language of the host country, English, and at least one other language as determined by the Executive Committee according to the needs of the meeting. On the occasion of international events, the working languages will be the language of the host country and English, with the option of one more language according to need. When the host country is English-speaking, it must provide at least two other languages for the General Assembly. For other international events, at least one other language must be provided, if so determined by the Executive Committee, according to the needs of the event. 12.2 The working language of the Association for written communication will be English. 12.3 If the seat of the association is held in a country where English is not the language of communication, all essential official documentation will be translated into the language of the seat, as required by the laws of that country. 12.4 The Association will make every effort to be inclusive of non-English speakers in all communication and activities, wherever possible. 13.1. This Association is created for an unlimited period. 13.2. This Association shall cease to function when, for any reason, three-fourths (3/4) of the members, on the basis of their number of votes, shall express in writing to the Secretary General the desire to dissolve the Association. In this event, the Executive Committee shall be authorized to declare the Association dissolved, and any funds remaining in the Association’s accounts will be given to international organizations pursuing similar aims or made available for public benefit according to the laws of the Country in which the Association has its seat. All amendments or changes to the constitution shall come into force at the moment of their approval by a General Assembly. Latest amendments adopted by the General Assembly in Cape Town, South Africa 2017. 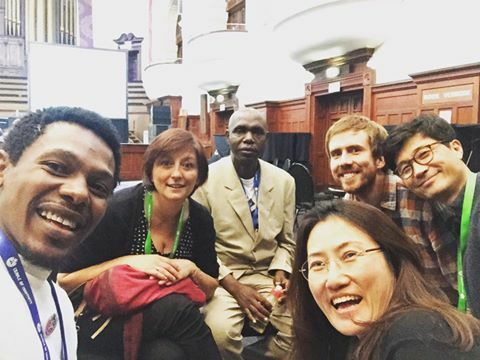 -International Events are, for example, Artistic Gatherings, international festivals, conferences, seminars, workshops, forums, and other activities, which take place officially in the name of ASSITEJ, apart from the General Assembly.